If your family loves highly seasoned food, they’ll love this Spicy Beef Enchiladas Recipe. Our version of Mexican enchilada gets its peppy flavor from the jalapeño bean dip, chili powder, and hot pepper sauce mixed in with the ground beef. The scrumptious cheesy beef enchilada casserole uses tender cornmeal crepes to wrap around the tasty filling. We love the crepes because they’re softer and thinner than a corn tortilla. The melted cheese sauce on top bathes the beef-bean-filled crepe with creamy goodness. You can make this Tex-Mex beef enchilada casserole several days ahead and then bake it before you’re ready to serve. This is such a family favorite that instead of birthday gifts we get requests to make our beef enchiladas recipe. 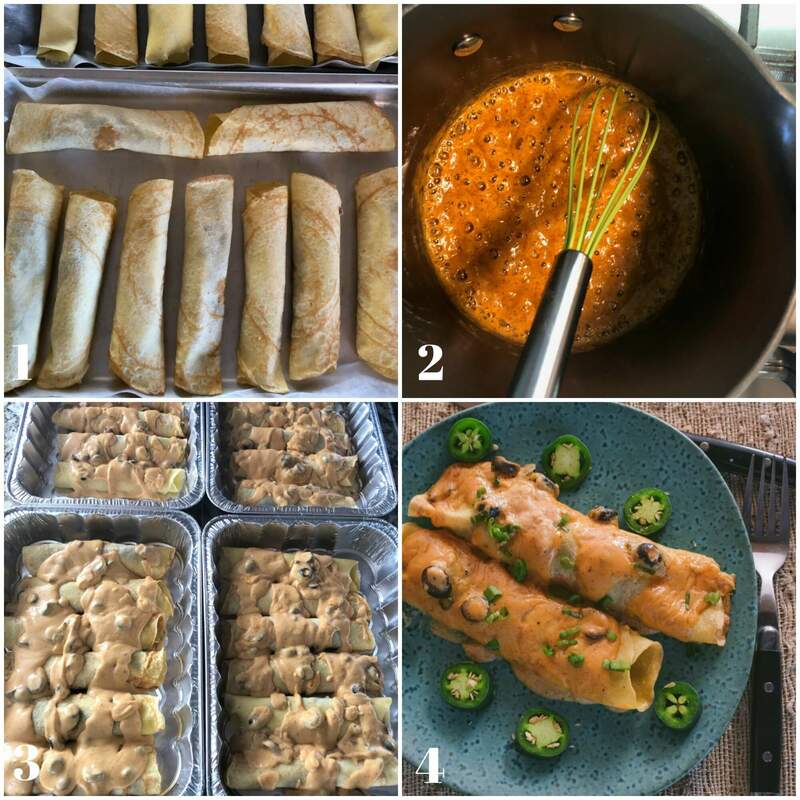 For this recipe you will need: ground beef, onion, green pepper, jalapeño bean dip, salt, pepper, all-purpose flour, chili powder, paprika, milk, hot pepper sauce, sharp cheddar cheese, ripe olives, cornmeal, eggs, vegetable oil, shortening. Many years ago I had a soft back cookbook called Crepes Cook Book. 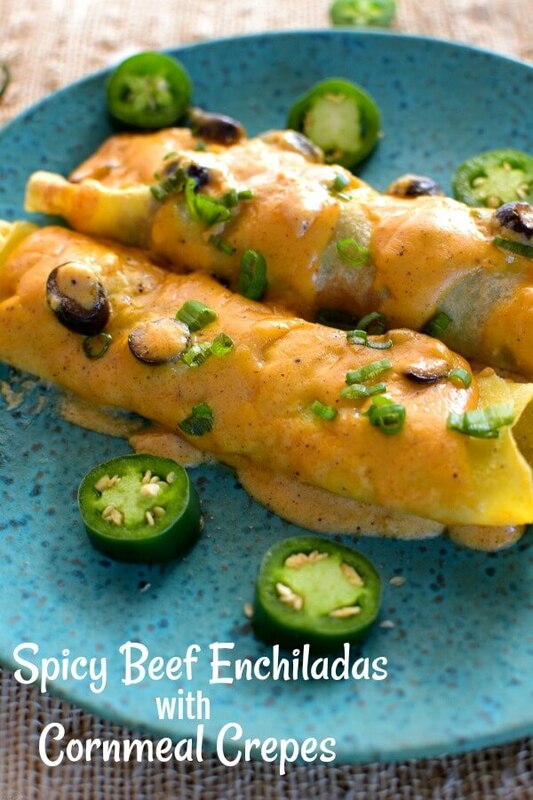 It was there we discovered our inspiration recipe for Beef Enchilada Crepes. Every time we’d make it, everyone would go nuts over it! Then, the same thing happened with Honey’s sister Phyllis. It seemed like we were destined to gift food as birthday presents – just like our Herb Parmesan Bread! Spicy Beef Enchiladas Recipe with Cornmeal crepes can be made ahead and reheated. Then, one day, we were preparing to make another batch of Mexican enchiladas when I couldn’t find my cookbook. I looked in every nook and cranny I could think of ! That book was nowhere to be found. I went to the local bookstore to see if they had it. Nope! They didn’t have it! My last hope was to try Amazon. They were fairly new at the time and I didn’t really think they’d have it. But, surprise, surprise! They did. Throughout the years, we’ve made countless beef enchiladas using that recipe! 1. Add the Jalapeño dip to the seasoned beef. 2. Ingredients for the Cornmeal crepes. 3. Brown the cornmeal crepe on one side only. 4. Cool the crepes on paper towels. The steps are not complicated. We make the beef and bean filling and let it cool. Next we make the crepes, lining them up on the counter on top of paper towels. Next comes to fill the cornmeal crepes with the delicious Mexican enchiladas filling. Spread some filling down the middle of the unbrowned side of the crepe. Roll up and place seam side down in an oil-sprayed large rectangular baking dish. The final touch is to pour the sauce over the enchiladas. Here you can either cover and bake in the oven, or cover and store in the refrigerator for later. We’ve had the beef enchilada casserole in the fridge for several days before baking. 1. Fill the cornmeal crepes with the beef enchiladas recipe filling. 2. Make the cheesy topping. 3. Pour the cheese topping over the beef enchiladas. 4. The finished Spicy Beef Enchiladas Recipe with Cornmeal Crepes. Are authentic enchiladas made with corn or flour tortillas? Corn tortillas are traditional choice for enchiladas but flour tortillas will also do. It’s really a person’s preference. The six inch and the 8 inch size work the best for fitting into casserole dishes. What kind of cheese do Mexican restaurants use in enchiladas? Mexican enchiladas usually use corn tortillas for the wrap. Are enchiladas authentic Mexican food? Enchiladas are an authentic Mexican dish but it’s made differently than the Tex-Mex version. Mexican enchiladas are typically tortillas that are first fired, dipped in a spicy enchilada sauce and then rolled up with a small amount of filling. The enchilada originated in Mexico dating back to at least the Mayan time. Do you cook corn tortillas before making enchiladas? 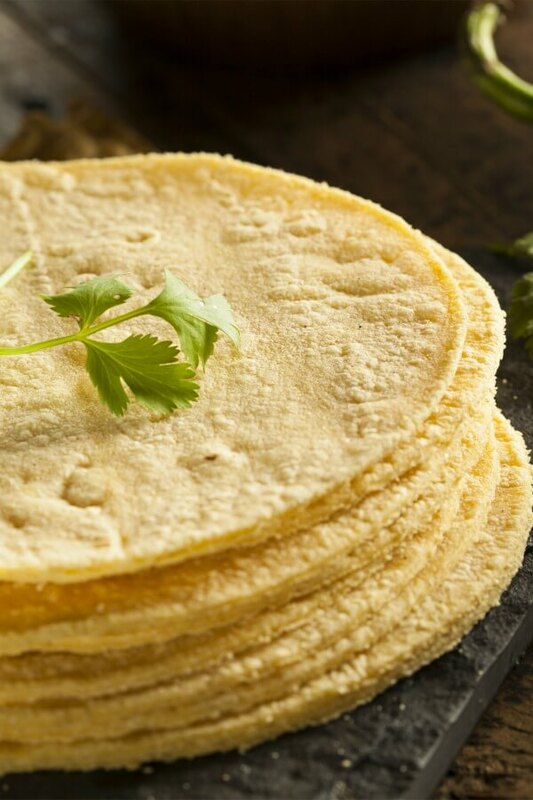 You should pre-cook the corn tortillas in a little bit of fat in order to develop the flavor and also to make them easier to fill and roll up. With the cornmeal crepes you don’t have to worry about it. They are very pliable and easy to roll. Spicy Beef Enchiladas Recipe is tastier with cornmeal crepes holding the delicious beef-bean filling. 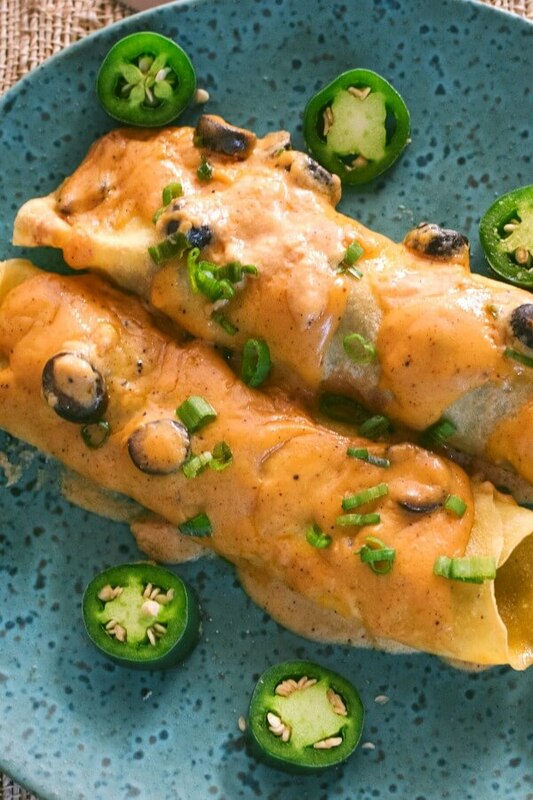 One bite of this spicy beef enchilada recipe with crepes and I swear you’ll hear the heavenly choir sing. I’m not exaggerating! This recipe is THAT good. A combination salad such as Italian Summer Salad is all you’ll need. As far as drinks go, drink what you like but again you should make it something light and fresh. Honey and I don’t eat a lot of desserts. We’re usually very satisfied with our dinner, salad, veggie and wine. But for you dessert lovers, here are some Mexican-inspired desserts you might like. These are terrific recipes that will warm you up!! We hope that you make this delicious beef enchiladas recipe, we know you won’t be disappointed! A 8-inch non-stick skillet like this one is what we use. It’s important to have a skillet that heats evenly. A 6-inch skillet will also work although your crepes will naturally be smaller. One thing we don’t do is put our skillets in the dishwasher even if the directions say you can. We believe the non-stick finish lasts longer with a little care. This is a terrific Mexican enchiladas casserole that you can double and triple. We’ve made it for gatherings, birthdays, and just because we craved something spicy and tasty. It’s easy to make with ground beef and a bean dip. Don’t fret though, if you can’t find the dip we’ll tell you how you can spice up the enchiladas with just some refried beans. Once you taste this dish made with cornmeal crepes, you’ll never want to go back to the cornmeal tortillas. See if your family doesn’t beg you to make this often. If you like this recipe, please consider giving it a 5-star rating. 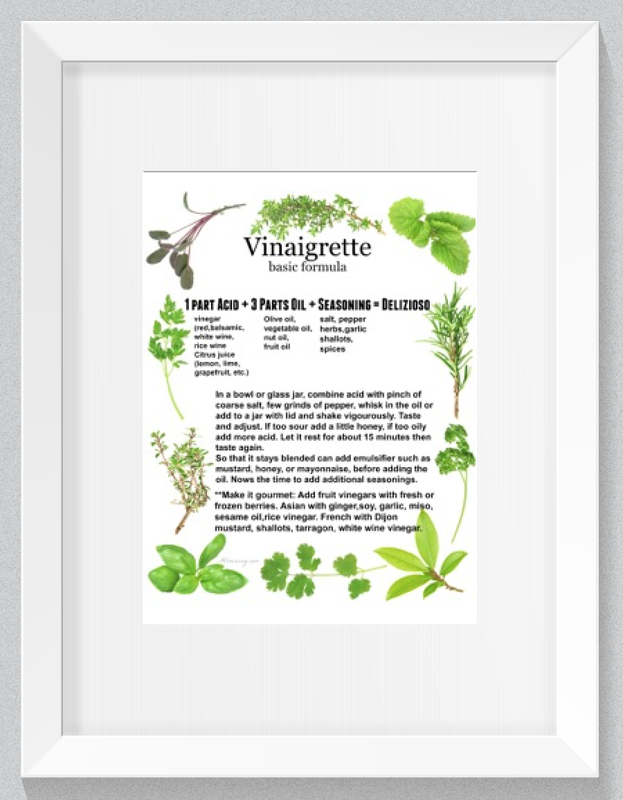 This helps others to decide whether to try the recipe. Cornmeal crepes are filled with seasoned ground beef that is mixed with jalapeño bean dip then topped with a spicy creamy cheese sauce. A fantastic version of Mexican enchiladas that will have your family begging for more. In bowl combine flour, milk, cornmeal, eggs, oil, and salt; beat with mixer til blended. Return to the heat; brown one side only. Invert pan over paper toweling; remove crepe. Slightly bang the pan against the counter and the crepe should fall out. Stir the batter frequently to keep the cornmeal from settling. Again wipe the inside of the pan with a little of the shortening on the paper towel. Repeat to make about 16 crepes. If you make less, that's okay, you'll need 12 for the enchiladas. Cook the ground beef with the onion and the green pepper. Drain off the fat. Blend in the jalapeño bean dip ( if you can't find the dip, following the instructions in the notes below) Add the salt and pepper. In a saucepan, mix the flour, salt, chili powder, and paprika together. Add the milk and several dashes of the bottled hot pepper sauce. Stir and cook until bubbly. Stir in the shredded cheese and the ripe olives. Using 12 yellow cornmeal crepes spread about 1/4 cup filling down the center of the unbrowned side of the crepe. Roll up as for a jelly roll. Place the enchilada seam side down in a vegetable oil sprayed 13X9X2 inch baking dish. Repeat with remaining crepes. Pour sauce over the enchiladas. Cover; bake at 375℉ until heated through, 25-30 minutes. ** If you can't find the jalapeño dip, use refried beans. To add the additional zip, chop 2 jalapeño peppers and add them to the ground beef as it's cooking. Then follow the direction as listed. *** The batter amount is approximate depending on the size of your pan. Make sure that there is enough to cover the bottom of the pan. Look at the photo to give you an idea. Adapted from The Crepes Cook Book by Better Homes and Gardens. Note: Recipes and content from ©2014-2019 are copyright protected. Please do not use content or recipe without prior written permission. If you want to share the information please link to this post. Grazie. 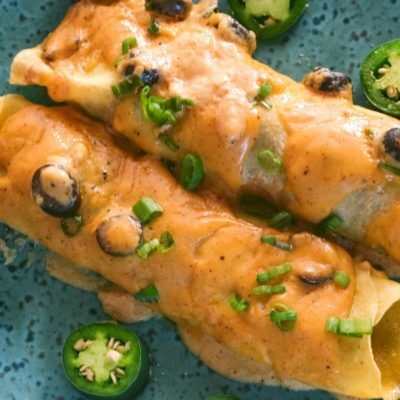 I love the jalapeno bean dip that you used to flavor these enchiladas! Such a great idea to use crepes too. My enchiladas always break, so this lit a little lightbulb in my head. Thank you! Amazon to the rescue!! Phew! What a fantastic recipe – I love the addition of that spicy jalapeno bean dip. My family loves highly seasoned, flavorful food too. They’re going to LOVE this dinner!! Thank you! God Bless Amazon for sourcing odd books that we can’t find anywhere else. I’m glad you found the book again because this recipe looks fantastic. I can not WAIT to try this recipe! I often make savory and filled crepes, but never with cornmeal. Using cornmeal crepes in place of corn tortillas is something that I must try very, very soon. Thank you! We love enchiladas but I must admit I have never made cornmeal crepes. I’m so intrigued. I must try this out very soon. My kids would feast over this.. So yum. This looks like a fun meal for the weekend. Great for a themed dinner party. Fun for a family dinner. Just a fun and delicious meal for many things. We love Mexican food here. I have always loved enchiladas. This recipe really appeals to me because it’s so easily customizable. We like a lot of spice :-). I would have never thought to use homemade corn crepes, but I so much prefer homemade to processed, so I’m totally going for it!! I like the idea of cornmeal crepes! Sounds like a delicious meal. I love the idea of corn meal crepes. Crepes as a whole are so delicate and delicious so anything you fill them with would taste delicious. However the cornmeal would really give it a distinctive taste for Mexican food. Can’t wait to give them a try! I like that you can make big batches and freeze too. This dish looks fabulous. I like the idea of making crepes for the filling. Looking forward to making this dish. 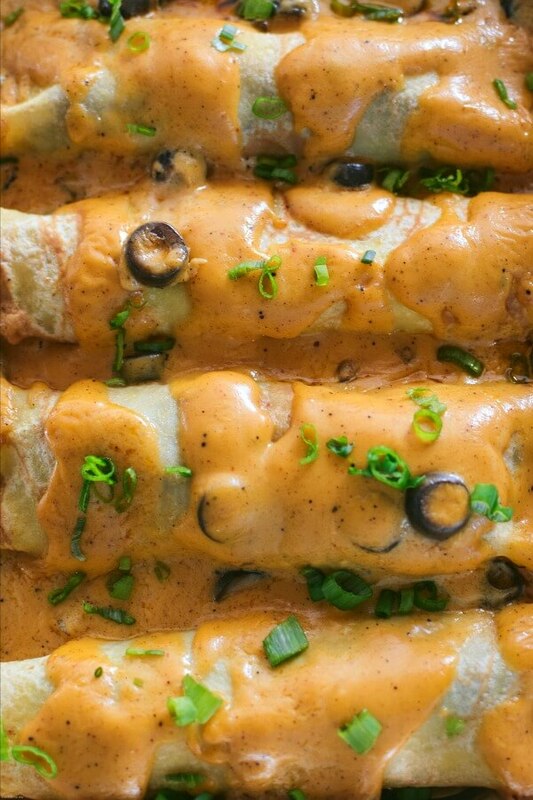 Love that you use crepes for these enchiladas. I think we’d prefer them! And that cheese sauce looks amazing. PS: Happy to hear you found of a copy of the book! We have lots of cookbooks but really only use a few over and over. We love Mexican food. These look so good. I love making homemade tortillas. They would be perfect with these. Next time we have a themed dinner…this just might be on the menu. This is such a creative and delicious recipe! Delicious! This is a great change from our typical taco Tuesday fare! Thanks for a great recipe. I love enchiladas and I could eat the whole pan! I’ve never tried it with crepes, but these look really delicious! 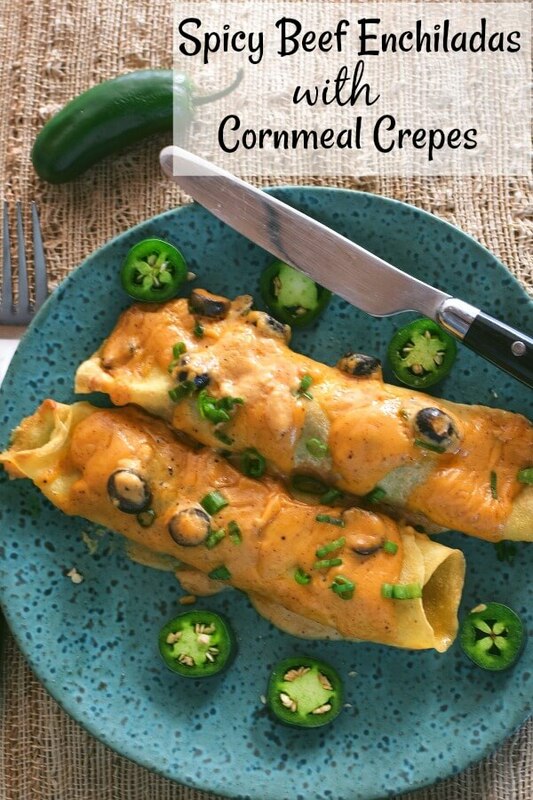 I love enchiladas and these cornmeal crepes are such a unique twist! Can’t wait to try these! I’ve had a lot of mexican food but never an enchilada crepe. This sounds delicious and full of spicy flavors. I can’t wait to make this twist on enchiladas. Wow, this is such a great idea! I love spicy beef and these look fully loaded. 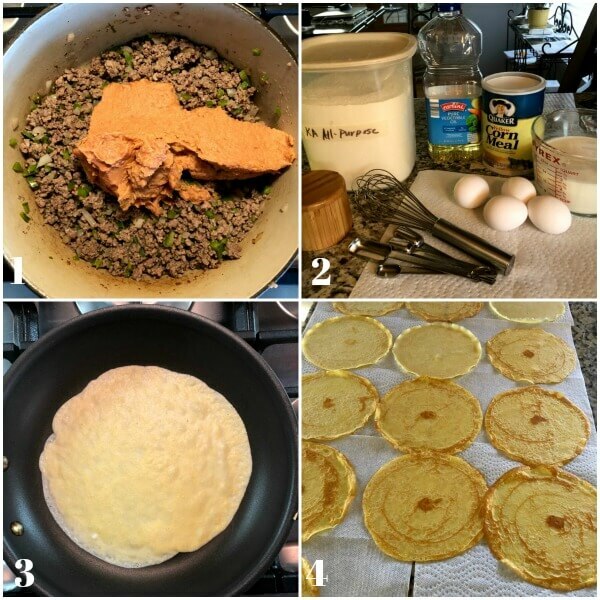 Savory crepes with a spicy beef filling, this dish is just what I’ve been looking for! I can’t wait to try it ASAP.